There are several routes to the publication of a cookbook. Large publishers look for authors with extensive, robust platforms. If you have that, then a larger publisher with nationwide distribution may be for you. However, I’d argue that small, regional publishers are worthy of your cookbook proposal as well. 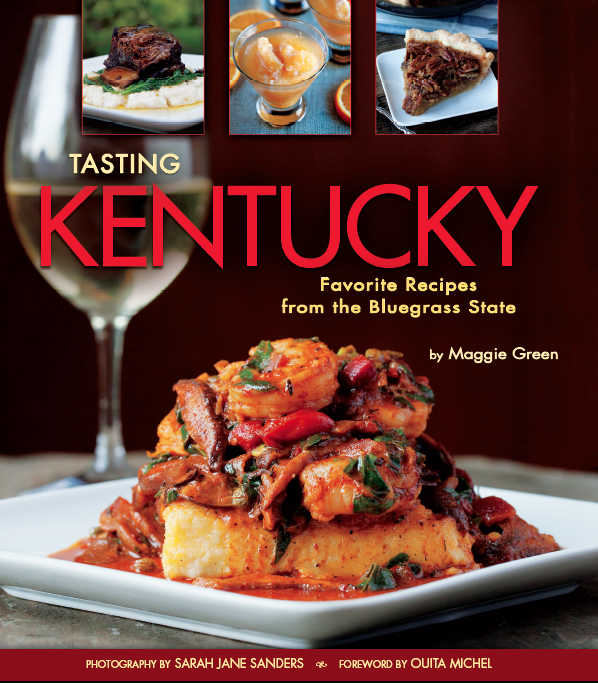 Smaller publishers create beautiful cookbooks generally on more regionally focused topics that are popular such as micro-cuisines as evidenced by the rise in interest in books about Appalachian cuisine and cooking. Mid-range and regional publishers also have wide distribution in smaller, boutique-like retails spots and non-traditional venues for cookbook sales. One of the best ways to get a feel for a publisher is to spend some time in a cookbook store or the cookbook section of a large bookstore. Browse the cookbooks and find out who publishes books that you like – the topic, the design, and the “feel” of the book. You can also browse the online book catalogs of publishers to get a feel for the cookbooks they are publishing this fall or spring. I do not know enough to write a cookbook. The best thing about working with food is that you always have something to learn. The day any of us thinks we have to know everything before we start our project is the day we get stuck and stalled in our writing. If you have an audience you can help, then give yourself permission to get started on your own cookbook project. I can say without a doubt that I learned the most about writing cookbooks, and about my topic, while in the midst the research on a cookbook that I was under contract to write. I did not know everything before I started and wrote my proposals, but knew I could always learn. I still don’t know it all, and I try not let that lack of complete knowledge get in the way of my writing cookbooks. If every first-time cookbook author let their fears stand in the way, then we would have never seen a written book from many authors we know and love. Moreover, yes, there is always someone out there who knows more than you, but that is still not a good reason to get started, write your proposal, and research the topic for your cookbook. I need to know how to photograph food and design my own book pages before I write a cookbook. Your skill set is food, cooking, nutrition or baking. Maybe you like food photography, and chances are you are you may have an interest in good design, but extensive knowledge of either of these skill sets is not a pre-requisite to writing a cookbook. I know I am too impatient to handle my own food photography, and I am not a graphic designer. However, I have a message about food and cooking that my audience needs. This is what’s most important. You do not need to know how to do every aspect of book publication to get started. Focus and excel at what you know best and communicate this to your publisher. Then, after you have a contract, and write your manuscript, they’ll assemble a team to put your cookbook together. 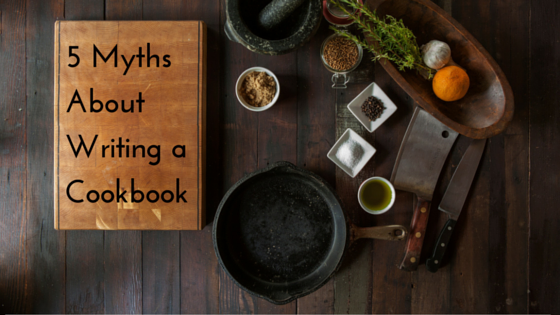 Hopefully, this helps dispel some myths about writing a cookbook. If you want to write a cookbook you may wonder if you are ready. 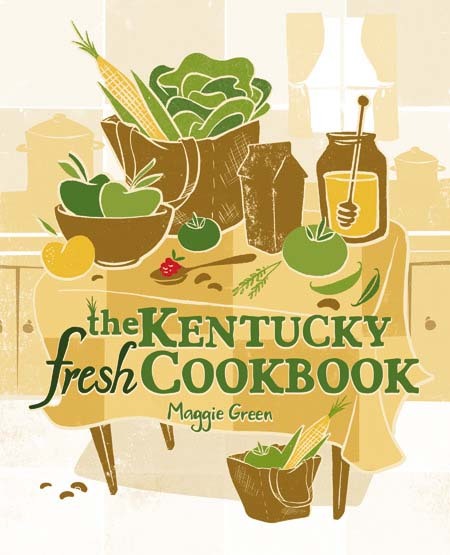 Culinary dietitian, cookbook author, and cookbook coach Maggie Green works with aspiring cookbook authors during the pre-publication phase of writing a cookbook. Maggie offers complimentary Cookbook Conversations. Visit her online calendar to schedule your conversation. It seems so overwhelming just thinking about doing this, but at this point I feel like we have a responsibility to share our solution with the world.. We have been inundated with requests for information or a cookbook for the home caregiver from all over the world and I hate to keep telling them that we don’t have one. Thanks for your comment. It can seem overwhelming, but with small steps toward writing a cookbook proposal first, you can do it. A proposal lays the foundation for a self- or traditionally-published book. I’m happy to help in you need anything. And, with your built-in audience and people asking for the book, it’s probably something you can sell. I read you article with interest, I did try many publishers in the past, quite a few years ago now as I am 70, I was a cookery teacher also for cake decorating and patisserie. I was flatly refused by everyone telling me that you need to be a household name before even being considered. Maybe I should try again, as I know many quick techniques to achieve good professional results. Hi Pauline – anyone can write a cookbook. For a traditional publisher to publish your book I would recommend some sort of a platform where people get to know you, like you, and trust you. You can self-publish a cookbook, but then selling it is a challenge when you’re not known. Many of my clients work on building a platform while they write their cookbook proposals. The quick techniques for good results that you offer could be of interest to those who like to decorate cakes and make pastries, so the topic certainly hasn’t gone out of style. I wouldn’t let age deter you if it’s something you really want to do. Keep in touch. I’m a chef and I recently wrote a cookbook for my friends in 2015 who were getting married. I formerly interned at America’s Test Kitchen, so I was no stranger to testing and writing recipes. Last year’s little newlywed cookbook pet project turned into something great and could be a wonderful portfolio piece to get a publisher. I learned how to do the food photography and styling myself… and as far as graphic design goes, I really lack in this field. However, I refuse to get discouraged and have a fantastic idea for my next “real project” if I could get representation. I would love to hear your thoughts; I am casting a wide net here on getting advice and plugging away. Please let me know your thoughts! I can also be directly emailed. Any advice would be greatly appreciated! I love you site and found it extremely useful. Thanks, Heather. I’ll get in touch via email. I think it’s important not to get discouraged! and to keep plugging away.